One major way these bugs are spread is through travel. If you are like me and my family we only get a few vacations a year if we are lucky. So we take a lot of precautions and do a lot of research to ensure a fun and memorable trip. We pack a first aid kit with about every medication we could ever need, tell friends and family where we will be going and how to reach us, check all the fluids in the family car, check the tires, check Yelp for all the must visit restaurants to visit and which to avoid, and memorize every must see destination along the way and which areas to avoid along the way as well. I’m sure everyone uses some of these ideas to ensure their vacation go’s as smoothly as possible but there is an issue that a lot of people are forgetting and it can nearly ruin a vacation and follow you home causing months or more of headache and possibly thousands of dollars to exterminate, We are talking about Bed Bugs. I’m back with another selection of plants for gardeners plagued by deer and/or rabbits. The plants listed here are also drought tolerant once the roots are established. Not to worry, you can have a beautiful flowering garden even with those pesky 4-legged pests running around and you don’t have to water like crazy to boot! As mentioned in the first part, deer tend to have different tastes in different years. Also, hungry deer will eat anything. That being said, the following plants are the ones that they will typically avoid eating. Lavender: A beautiful flowering herb with all parts fragrant. 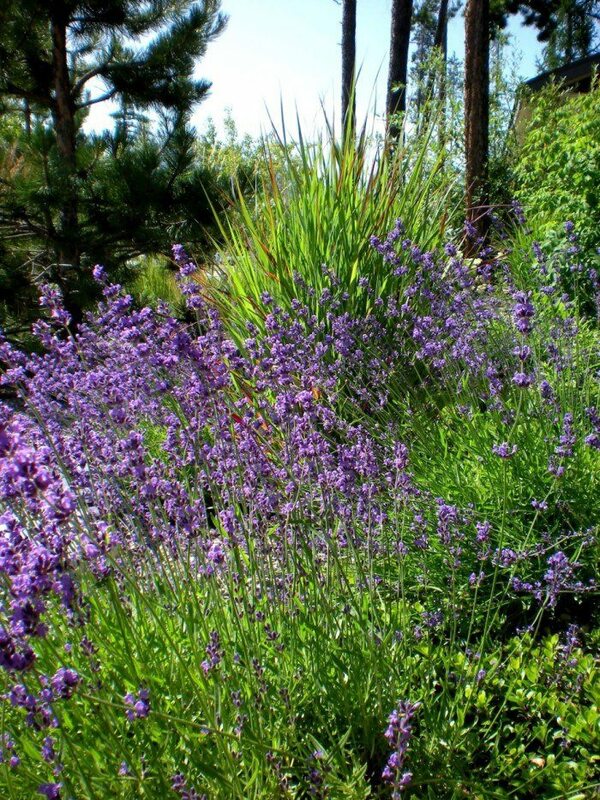 Lavender absolutely thrives in poor soils – even gravel! Plant in full sun for best results. Daylilies: So called because each flower that opens lasts only one day. This is a perennial plant with blade-like leaves. Daylilies come in many colours and are a beautiful compliment to big-leafed plants. Ornamental grasses: Ornamental grasses come in all sizes and add a breezy feel to a garden. Fruit is a great addition to any diet but there is always the chance of attracting those little flying pests called fruit flies. It’s not uncommon to find them hovering around a fruit basket, trash can, or a garbage disposal. 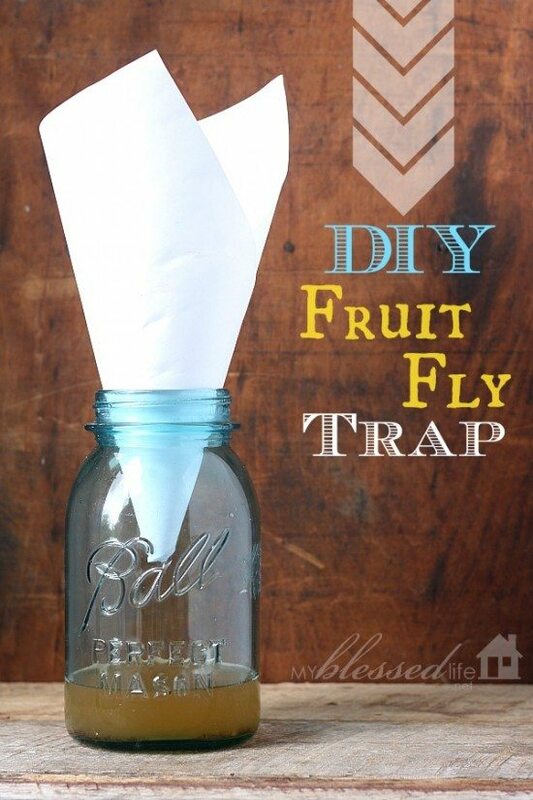 When fruit flies show up, they usually appear by the dozens and are hard to kill. Despite their tiny size, they move quite well. Besides, who has the time to be running around with a fly swatter all day killing tiny invaders. This fruit fly trap from My Blessed Life is the perfect remedy. It is super simple to put together and does all the work for you. All you need is a sheet of paper, jar, vinegar, and liquid dish detergent (optional). As the temperatures drop, mice search for a warm shelter to wait out the winter. Unfortunately, a lot of times that shelter is your house. During their stay they can gnaw through wires, contaminate food, and spread bacteria. Keep firewood, compost piles, and shrubbery away from the edge of the house. Repair weatherstripping around doors to close up small openings. Inspect exhaust and water drainage vents on the exterior of the house for proper mesh guards. Fill in the cracks around the edges of any pipes or wires coming of the exterior with caulk or steel wool. Place screens over chimneys and vents on the roof. Dispose of garbage regularly to cut off food supplies. Inspect any boxes or containers being brought into the house from the garage. 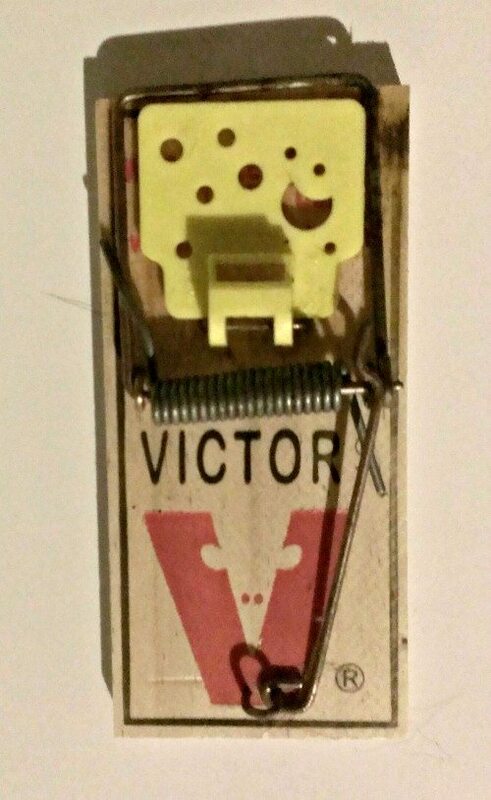 Setup traps if there are any signs mice. Get a cat or dog, but only for the right reasons! Call in a professional if mice continually are entering your house. Anyone who is thinking about purchasing a home or business should have their new property inspected for termites before closing the deal. 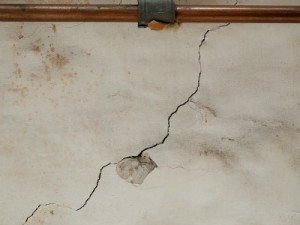 This is because termites can cause a lot of damage that may go unnoticed if an inspection is not completed. If termite damage is found after the sale closes, the new owner could be left with the responsibility of repairing thousands of dollars in damage. Most homes are built with a wooden frame. Termites love to eat anything that is made from wood. Therefore, termites will gravitate toward the frame of your property. From there, they will continue to eat anything in the walls that is made of wood. Finally, they will start to eat away at outdoor sheds, trees and wooden cabinets. They will not stop until they have completely chewed away at everything on your property. 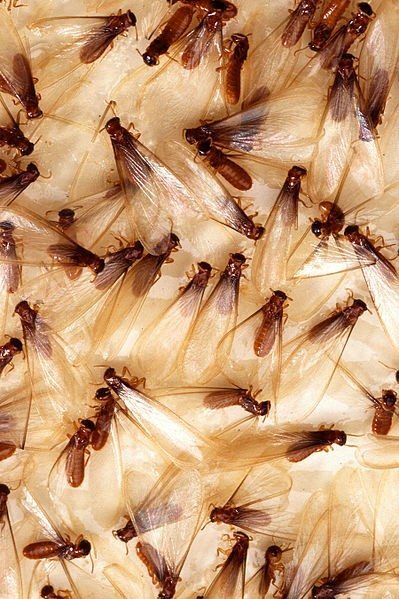 Although termites prefer to eat wood, they will chew through anything that is in their path. In some cases, termites will chew on your carpet, soft plastics and even weakened pieces of steel. If you place a barrier in their path, they can create bridges to get around the obstacle. This is one reason why the only way to completely eliminate termites is to kill the entire colony. When you see thousands of ants walking around inside your home it can be quite disturbing. I’m sure you will want them to disappear as quickly as possible, so we’re going to look at a few tricks you can use that will help you deal with them. Look closely at an individual ant and you will appreciate how small they are. They don’t need a huge hole in order to get inside your home. The next time you see any ants walking around you should keep an eye on them and see where they’re getting in. Get a tube of sealant from your local hardware store and seal up the areas where they are getting in. It won’t mean you have won the war, but you will have won the first battle. The kitchen is obviously the room they love the most because it’s full of lovely treats. If you don’t clean your kitchen properly it will end up overrun with ants looking for their next meal. Don’t leave any food lying around because it’s just laziness. If you don’t want to eat everything you cook you should wrap up the leftovers so the ants can’t get to them. You should also make sure you sweep the floor on a regular basis.